So How Do You Cook This Avocado? We met with our farm manager, Gary, on Friday to talk redevelopment, which will involve removing pretty much every single tree on our property and replacing them with root rot resistant clones. More on that fun conversation for a future post. 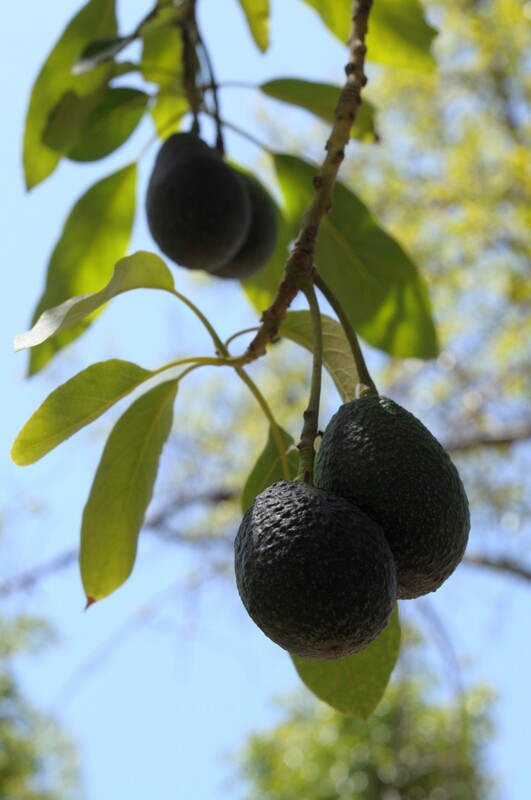 With all the talk about going into the poorhouse to replant the property, we got to talking about the future of the avocado industry and whether we’d eventually get anything back on our investment. Gary shared a funny story related to the subject. Bless the woman’s heart for being adventurous and willing to try them out, but I’ll bet she came away disappointed for two reasons: not knowing how to select a ripe avocado and not knowing what to do with them. As a result, she probably dislikes avocados. The story says a lot about how much more work the California Avocado Commission (CAC) has to do. I’ll provide a little info on selecting a rip avocado and what to do with it below. First, a little plug on why you should select California avocados first and foremost when you make that trip to the store and decide to be adventuresome and try something new like an avocado. Young avocado that looks like the right size to pick, but would not ripen to full flavor if picked. The CAC strives to increase demand for California avocados through marketing and education with the goal of selling our fruit as a “premium” product. Unfortunately for us California growers, the competition is stiff. Mexico, Chile and Peru together produce vastly more than California. Mexico produces more than the U.S., Chile and Peru combined. * But they are not held to the same standards. California growers are not allowed to harvest their fruit for sale until they have reached a certain size and oil content. Each variety has a specific “release date” based on size and tested oil content (see here for more information). 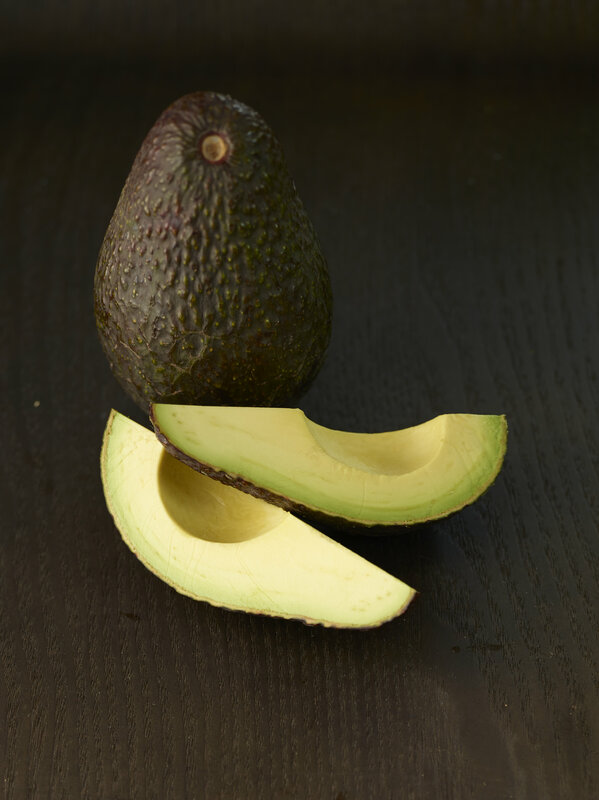 The high oil content of California avocados gives them the rich, creamy and nutty flavor that stands out above the rest. Mexico, Chile and Peru have no such standards. Thus, shoppers are prone to get hard-as-rock, green avocados that shrivel when they ripen due the lack of oil content and have a bland, mushy taste. Color change indicating ready to harvest. The skin is dark green or black and knobby. An overly wrinkled skin or blemishes may be an indication of disease that will likely cause the fruit to go straight from hard to rotten. When you hold the fruit in the palm of your hand, it should be firm but yield slightly to pressure. If it is overly soft, then it is too ripe and will be mushy. If it is still hard, that’s no big deal if you don’t need to use it immediately. Just ripen it using the method mentioned above. Make sure the fruit is labeled “California Grown” if you want the premium taste (Hey, I am a grower now, so I have to plug my brand!). Also, stores are required to separate and label California avocados versus Mexican avocados, or avocados from other locations. If they don’t, mention it to the store manager! Once you take the fruit home and cut into them, they should have a beautiful lime and olive green color. See the large picture above. If there are brown spots, or dark brown or black speckles in the green flesh, then cut those parts away as these spots will not taste good. Slight variation in green or green some green marbling is okay. The CAC site has more detailed tips on selecting, ripening, peeling, etc., if you want to learn more. As far as what to do with them, it is possible to cook them (typically baking or frying), but I would not recommend it. Whenever I’ve had a cooked avocado, I’ve thought to myself, “Why destroy this perfectly good avo!” It never measures up. They are best served chilled or at room temperature. And they are great in pretty much everything including salads, salsas, toppings, solo with a little salt, or even avocado ice cream. Food styling by Theresa Gilliam. Photo of sliced avocado by Angie Norwood Browne. You can see more of her work here. 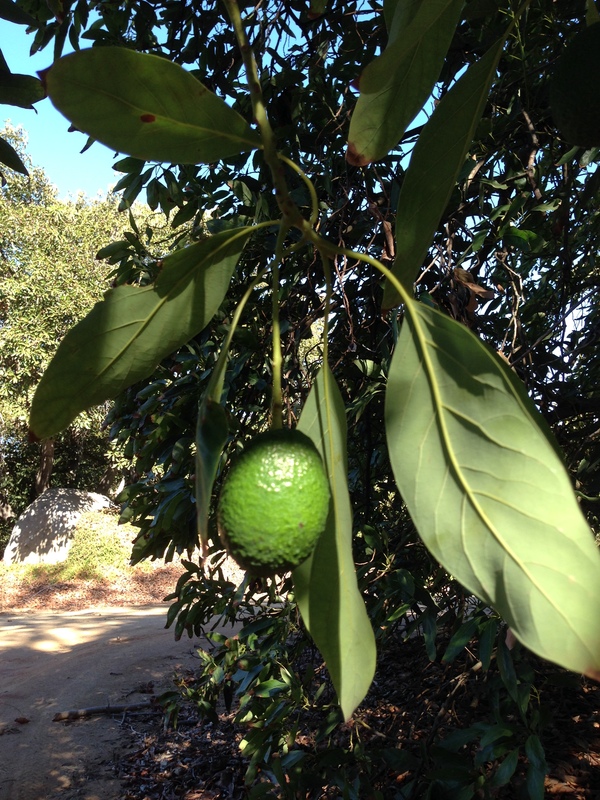 Photo of green fruit on tree by Julie Ogilvie. Photo of ready-to-pick fruit on tree by Theresa Gilliam. *According to the U.N. Food and Agriculture Organization FAOSTAT Database (which is an awesome site), the following are the top ten avocado-producing nations in 2011. This entry was posted in Recipes and tagged avocado, avocado ripeness, California Avocado Commission, California grown, selecting Hass avocados. Bookmark the permalink.